On the occasion of its 20th birthday the MEK – Museum Europäischer Kulturen – Staatliche Museen zu Berlin hosts the conference “What’s Missing? Collecting and Exhibiting Europe”. The conference focuses on blank spots: Which objects, narratives, methods and actors have not been paid any (or enough) attention to and are missing in our museum reflections on contemporary daily lives and societies in Europe? Numerous European collections and museums with objects of everyday life are going through processes of transformation – from historical folklore, national and sometimes ethnically orient-ed to contemporary, European and transculturally designed institutions. In this process, the his-torical collections are both a blessing and a curse: They form the basis of existence for these mu-seum types – but the collections themselves and/or their ‘traditional’ narrative framings do not sufficiently represent current social developments or complex pasts. How can these museums adequately account for new socio-political contexts, especially against the background of present theoretical debates, which conceptualize things, actors, spaces and routes as closely entangled? In addition, the political “European project” is being increasingly called into question and conflicting ideas about European identity/identities and cultural heritage are being strongly communicated in many arenas. What social role do museums – and especially the (former) folk-lore museums – want to play in these debates of Europe in transition? How can a re-interpretation and contemporization of collections and exhibitions through (post-)migratory, queer, decolonial, fugitive, dis/abled or other marginalized lenses be established in mainstream museum work? “What’s missing?” would like to provide a platform for museum practitioners and theoreticians, fostering exchange about identifying, challenging and including blank spots in the practices of museums who strive for a reflexive and critical “Europeanisation”. 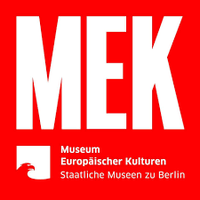 Deadline for registration: June, 10th, 2019 via mek@smb.spk-berlin.de Conference fee (to be paid on location): 20 € regular/10 € reduced for students, trainees and job-seekers Convenors: Iris Edenheiser, Elisabeth Tietmeyer Conference location: Museums Dahlem, Lansstraße 8, 14195 Berlin The conference is funded by Fritz Thyssen Stiftung, Verein der Freunde des Museums Europäischer Kulturen e.V. (Association of Friends and Sponsors of the MEK) and Stiftung Preußischer Kulturbesitz.